An upper ridge is spreading into central Europe, a short wave is affecting Scandinavia. A weakening upper low is still affecting S Balkans and N Turkey where severe storms are expected again. A SLGT risk has been issued for extreme E Romania across Moldova into extreme SW Ukraine with threat for large hail and heavy rainfall. 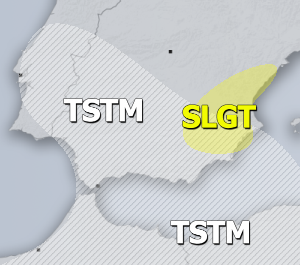 A SLGT+ risk has been issued for NW Turkey with threat for large to very large hail, severe winds and heavy rainfall. TSTM+ areas have been placed over N Iberia, S Balkans into Aegean sea and N-CNTRL Scandinavia. These areas should see more organized storms as well, bringing some larger hail and excessive rainfall. Waterspouts are again possible around Greece and over the Aegean sea.